This stand-alone by Laura Griffin also includes characters from the Tracers series, as well as a trip to the fictional Delphi Center of godly forensic glory in the Tracers world. To be honest, as new side characters were introduced, I think I might have gotten slightly distracted. Not only were some Tracers characters present, be we also get a good amount of Elizabeth LeBlanc, who I recall being introduced in the sixth Tracers installment, Scorched (see my review). In the eighth Tracers book, she is front and center as a main character (Beyond Limits, see my review). So I spent a little bit of my attention trying to figure out where in this world Far Gone fit into despite the fact that it is a stand-alone and not listed as part of the Tracers series. I consider the fact that Elizabeth LeBlanc spends a bit of time lusting over our main male character, Jon North, as an indication that the timeline in this book definitely takes place pre-Beyond Limits. Andrea Finch is on leave from duty after a police shooting gone wrong. But even as she spends her days holed up away from the world, she gets a phone call from her brother, asking her to borrow two thousand dollars. It doesn't take long for Andrea to find out that her brother, Gavin, has fallen in with the wrong crowd that could possibly get him either arrested or killed. Meanwhile, Jon North is running out of time on his investigation. A hunch and sparse evidence has lead him to West Texas where an unsolved murder and a terrorist bombing leads to something much more sinister. And all of his information, so far, is pointing at the new friends that Andrea's brother has made at Lost Creek Ranch. With the clock ticking down, Andrea and Jon realize that they need to work with each other in order to stop a maniac from leaving his final message, and dragging more innocent lives down with him, just to prove a point. 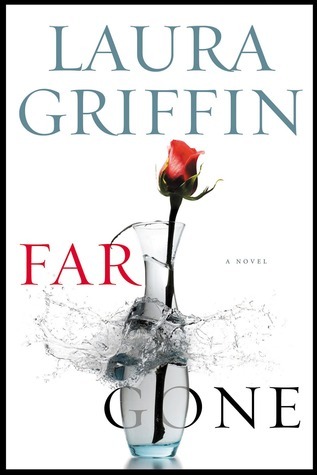 Far Gone is a very enjoyable Laura Griffin crime thriller--it is very much what I typically expect from her, and so I admit that I enjoyed it in spite of a few reasons I probably wouldn't have. Laura Griffin, to me, is a tried-and-true author whom I never tire of picking up. Unfortunately, with a lot of her books, I always have this "I think I've read this before" feeling. And Far Gone was a book that also gave me that same feeling, yet at the same time, it's a well-written, dark and gritty crime thriller that dives right into the story and keeps you hooked. I have no qualms reading and rereading Laura Griffin books, which is saying something, since I had actually started out feeling rather 'meh' about her work. But as I continued to read each of her books, from one series to another, and then devouring the whole of her Tracers series within weeks, I realized that I came to really love reading books by Laura Griffin, and am always anticipating her next new release. Far Gone involves a rather exciting story line that keeps rolling forward without stopping. And once you start reading it, it's very hard to set it down. It's not a murder mystery per se, though there is a murder investigation involved. I would say it revolves more around a terrorism/counter-terrorism theme, which makes for a pretty great page-turning experience. Characters in Far Gone are nothing special, but I truly do love how each character plays their roles well and are portrayed in such a realistic fashion that you get caught up in their world quite easily. I mean, I spent a good amount of the book being completely irritated with Andrea's little brother, who just kept digging his hole deeper and deeper, but who, in the end just kind of struck me as that one naive, younger sibling who needs to learn from his or her own mistakes eventually. It was hard to be angry with him once he actually appears in the book. The investigation taking place in Far Gone was structured quite well, although I DO admit that there were a few moments where I might have gotten a little lost--I had a bit of trouble figuring out what the heck our federal agents were doing with themselves. But the book moved forward and so did I. The romance between Jon North and Andrea Finch felt a bit strained, but at least it was easier for me to accept. They start off with a mutual attraction that develops with more time spent together. But the 'I love yous' don't really get thrown around, and, honestly, I'm quite alright with that. These two had their own priorities to deal with without entangling themselves in too much of an angst-ridden love story. They knew when to put their romantic issues on hold so that they could get their jobs done and save lives. Far Gone is enjoyable, exciting, entertaining. Laura Griffin always delivers. And for that, I will always be glad that I came back to read her books even thought I'd had reserves about her after reading one of her first books in the pre-Tracers duologies.